Volatile Organic Compounds (VOCs) are potentially dangerous compounds created by both human industry and natural processes that vaporize under normal atmospheric conditions. VOC levels are much higher in indoor environments as they can be emitted by many manufactured products such as carpet, paint, and cleaning supplies. Outdoor sources can include landfills, industry, and hydrocarbon emissions. Prolonged human exposure to VOCs have been known to cause respiratory problems, cancer, and neurological damage. Environmental damage can include air, water, and soil pollution. 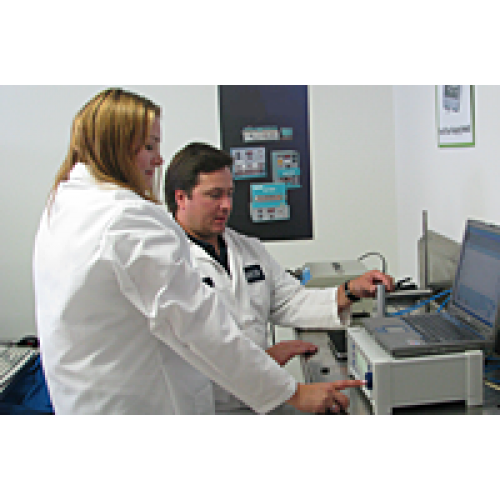 Photoionization Detectors (PIDs) are the easiest and most efficient way to detect VOC levels. Although not as selective without the use of a gas chromatography column, a stand alone PID provides real time measurement of total volatile organic compounds in a portable format that anyone can use. These detectors enable the user to react swiftly to any potential threat, without waiting for the evaluation of a time-weighted average (TWA). Sensitivity can be increased by the selection of Ultraviolet (UV) lamp, as well as detector range. The sample gas is exposed to an ultraviolet light from a lamp which ionizes the sample to be detected by the instrument and reported as a concentration. VOCs with an Ionization Potential (IP) less than the eV of the lamp will be detected by photoionization. The most common lamp is the 10.6 eV, although a 9.6 eV can also be used for increased selectivity. The ratio between the sensitivity of Isobutylene to that of a target compound is called a Response Factor (RF). For example, the piD-TECH plus® sensor has a typical sensitivity of 1mV/ppm for Isobutylene and 2mV/ppm for Benzene. That means that Benzene's RF is equal to 0.5. The RF allows the user to measure the concentration of various gases without actually calibrating the sensor with the target gas. 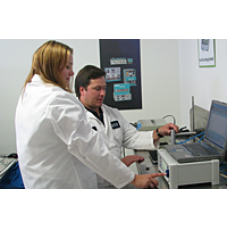 A comprehensive list of Ionization potentials and Response Factors is available from Baseline-MOCON at request.